If you’ve already accepted affiliate marketing jobs or you’re just getting started, there are common mistakes to avoid on your journey. 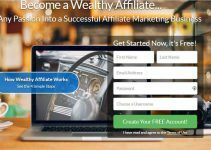 Affiliate marketing can be profitable when done the right way. But any mistake can instantly ruin your chance for success. Don’t make the same mistakes as many others before you. Learn from their lessons and understand how this business works. With affiliate marketing, someone gets a commission on every sale they make on behalf of some merchant. 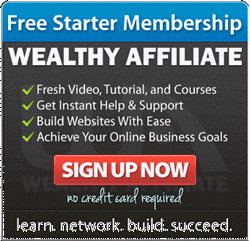 There are a wide variety of affiliate marketing programs available online. To be successful, it’s important that you choose the right one. After that, it all comes down to securing a place in your niche and racking up commissions. But what are the actual steps you can take to ensure your success? Keep reading to find out. In order for you to create quality content, you need to have a product that you believe in. It should have value and be easy to blog about regularly. To be successful, choose a product based on your passions and interests. Beyond interest, your product also needs to be profitable. You should analyze the potential demand for it before you decide to sell it. You need to know whether anyone will buy your product. Assess your demographic so you can tailor the content to that audience. You need to test all the products you plan to sell before featuring them on your blog. Sometimes, it’s not practical to try all the stuff you plan to sell personally, but you should find trusted sources for reviews. This increases your involvement with your product, which can lead to more sales. The more familiar you get, the more your audience will see you as an authority in your niche. As a result, they will want to buy your product. Use your intimacy with the products to write in-depth reviews and articles that address customers’ concerns. You should be able to anticipate the potential uses for your product as well as the potential questions a customer might have. This is the kind of thing that makes good material for a blog post. Before committing to any affiliate marketing opportunities, research the company thoroughly. 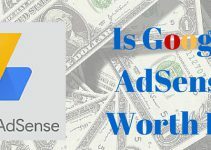 You need to know what their services are, what past affiliates thought of them, what their sales are, and other aspects. Don’t make the mistake of picking a product to promote based on its price and potential commission from a successful sale. You should review the product thoroughly before promoting it so that you can build trust with your audience. If you feel a product is bad, be transparent and write a review about it. Warn your audience about the downsides. They will appreciate your transparency, and you will gain more trust with potential customers. It can build a bond between you and your audience. Legitimate affiliate marketing jobs are not “get rich quick” schemes. If you think that money will come instantly, then this is not the right business for you. No matter what efforts you make, it will take time before you see your first earnings. This is because you’re new and don’t have any connections yet. 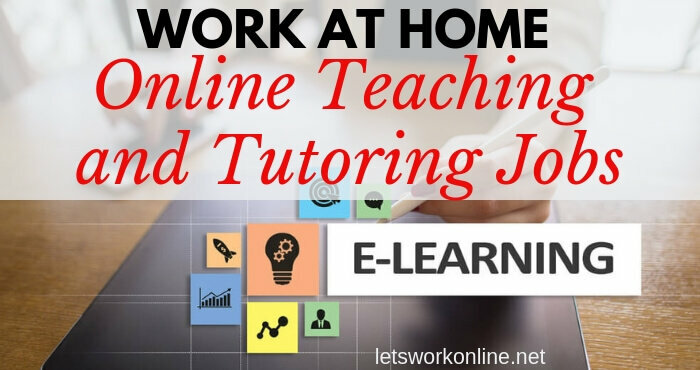 You also may not have thoroughly learned the program yet or set up a blog. If you don’t seem like an authority, then no one will trust you and therefore, they won’t buy your product. Before starting with affiliate marketing, you should gain enough knowledge about the program to consider yourself an expert. This article covers the most important factors. But you should continue to grow in your understanding of the business. Once you have a handle on everything, put together a working business model that describes your plan of action from start to finish. After you have a plan, start a blog and begin getting traffic and meeting new people. Concentrate on developing your network and getting them eager to hear your thoughts and new information. You should also be active in your local community. Make every introduction a chance to establish communication with new people to build your network. Over time, your audience will begin to trust you and will become valuable customers. Once you start your blog, build your email list from day one. This is the biggest asset that you have in affiliate marketing. Some ways to collect emails are through newsletter forms, lead generation pages, contact us pages, free tutorials or ebooks etc. Try to capture as many emails as possible. Your email list is incredibly important because it helps to bring repeat traffic back to your business. When you post a new article on your blog, you can send out an email alerting your network. That way, they are more likely to find and share your post. This will grow your following and spread the word about your business. In order to get your blog to rank highly on Google, look into Search Engine Optimization (SEO) techniques. Trying to rely on organic traffic for new business is very limiting, especially since there are so many other businesses working on their own rankings. You should also try to rely on traffic from other sources, such as referrals, direct marketing, and social media marketing. Have patience and write quality content on your blog. This way, you will gain a following of subscribers who read everything you publish. Then start an SEO campaign to tap different sources of traffic, such as link building, email marketing, and social media marketing. Guest blogging and keyword research can help too. Your blog posts should include keywords that can help you rank higher on Google. Make sure that even though you are writing for the purpose of using keywords, your information is still valuable. Always provide quality material that is relevant to your product. Choosing your niche is very important to your business. You need to write content for your affiliate marketing jobs and your audience. Simply posting links to products on your blog page will not bring sales. You need to write interesting and informative articles about your products. They should be complete with reviews and testimonials from satisfied customers. Take time to learn the skills to write the best content so that you can generate more sales. Take the time to do proper research and write with your audience in mind. The more effort you put in, the higher your chances of success. It used to be okay to write a 400-word article with some keywords. In the past, short posts ranked well on Google search results. But those days are behind us. Today, search engines place importance on the length of your blog posts for their rankings. They must also be properly formatted and provide value. Also, make sure your content has images to capture your audience’s attention. You should also use bulleted lists to make your blog posts easier to read, and proper headings that include your target keywords. Write helpful articles that offer solutions or help people make a decision. Put yourself in the reader’s shoes. What questions would you have about the product? Highlight both the pros and cons. Include stats and references. Share personal experiences too. If you want to be really successful, write quality reviews about the products that you sell. Include user recommendations and provide feedback yourself. Give your article a good headline that grabs people’s attention. Separate your article using subheadings with keywords. Add images, and screenshots to your posts. Optimize them for the search engines by using the ALT tag. Embed a video. It can be your own video or a relevant video from YouTube. Use bold or italics to highlight any important information in a sentence. Use bulleted lists to break up content. With these tips, you should be successful in your affiliate marketing jobs and outrank your competitors over and over again. 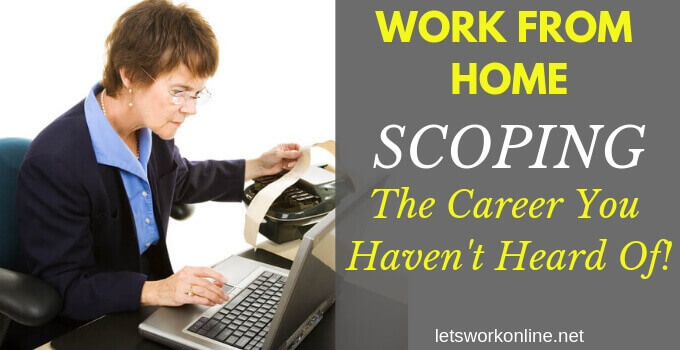 It is possible to work from home and make good money with hard work and the right product knowledge. The first step is to choose a niche. Then check if there are affiliate products you can promote that can be nestled neatly in the niche. Next, you will need to set up a website. These days it’s not at all difficult, this post takes you through the steps. Write quality content about your niche and review your affiliate products to gain a loyal audience. 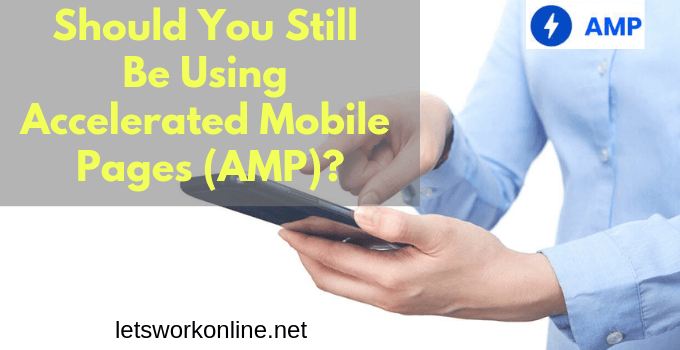 Blog on a regular basis to keep prospects engaged. Be helpful and informative. 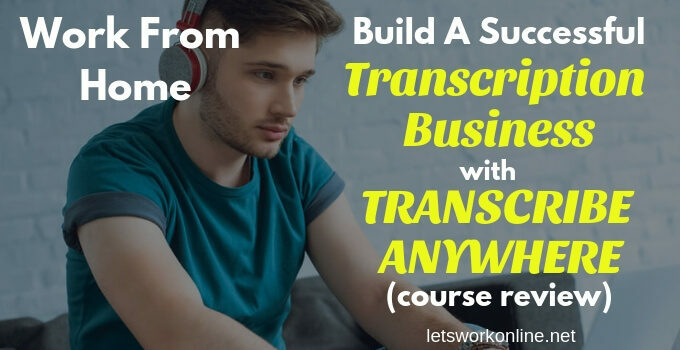 If you’re unsure of starting on your own, this training program will take you through all the steps necessary to build a successful online business. If you have any questions or comments let me know below. 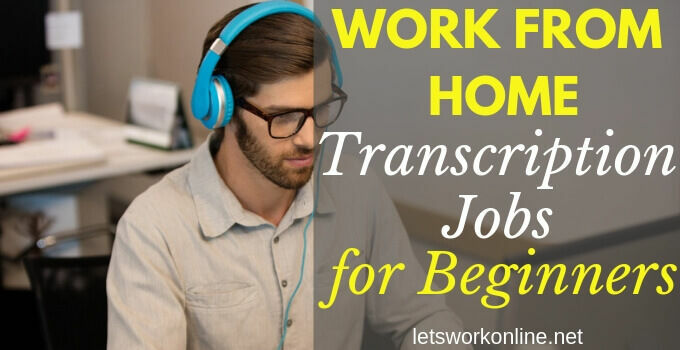 TranscribeMe Review – Is this a legitimate work from home opportunity? As a beginner this is helpful. I agree that money will not come at overnight, we have to be patient to make money, I am sure I will try to give quality content, I know content is a king, thanks for the other tips, keep doing this quality work. Thanks Harish, glad you found this useful! Hard work, determination, and patience are vital ingredients to succeeding online. So keep producing great content, only promote products that are legitimate and in time you will build your own online business. Thanks for sharing with us absolutely we learn from mistakes. I think the first mistake we do at start that we keep eyes on the target not on the path and resultantly we got hopeless. Well I am also new and want to launch my new website using revglue.com tools and want to ask if this will be right platform for me? Yes, I think learning from mistakes is something all bloggers go through. We are always trying new things to see what works and are either motivated by our results or more often demoralized by the lack of positive results. It’s important to keep your overall goal in mind but also set smaller achievable goals to help keep you motivated. I’m not familiar with the revglue.com platform so I can’t really say if it will be good for you. I wonder what sort of costs are involved and what tools they provide. When starting I like to keep costs down to a minimum, domain name, hosting and some training if needed. You have provided useful advice and tips about mistakes to avoid when starting affiliate marketing. I can spot a few mistakes that I made when starting out, the big one being not having a blog…lol. At the most fundamental level it is all about getting the right training, learning from one’s mistakes and the mistakes others share, and taking consistent action to implement the knowledge and skills gained. I enjoyed reading your post. Thanks! Thanks Jude! I think we all make mistakes when we’re getting started. There’s nothing wrong with this as long as we learn from our mistakes. Joining a training platform can help avoid some mistakes but at the end of the day making mistakes means we’re taking action and if we’re taking action we’re learning. I think the most important points are to only promote products we know/trust and to be completely honest.